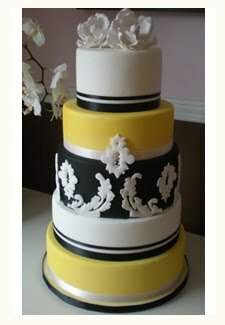 Gorgeous black, white and yellow round wedding cake with five tiers and white damask motif. 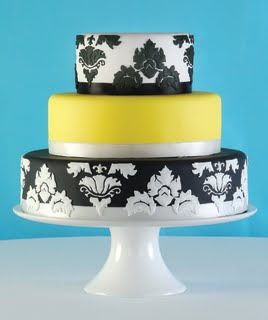 Black and white damask wedding cake offset perfectly with bright yellow middle tier. 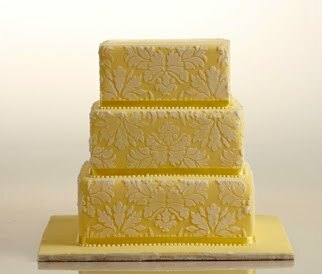 Elegant hree tier square yellow damask wedding cake. 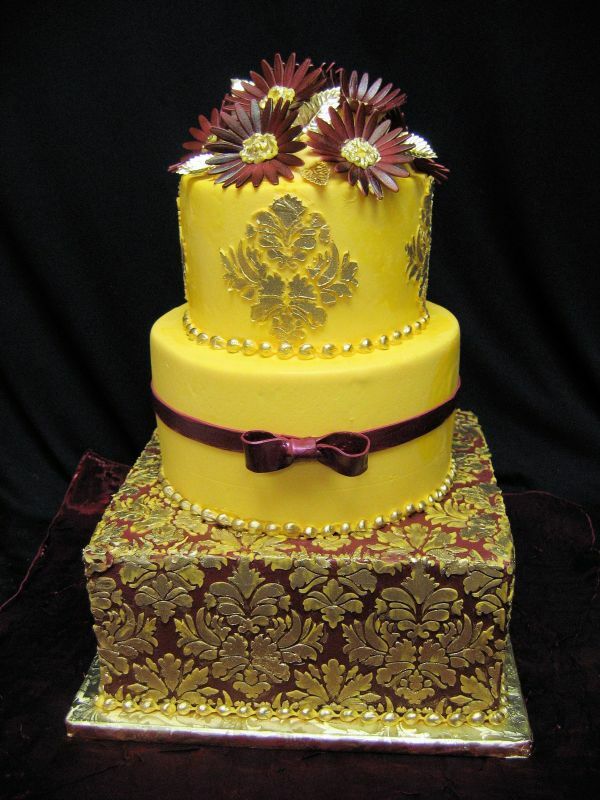 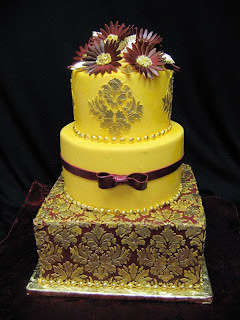 Gold, yellow and burgundy damask pattern wedding cake. 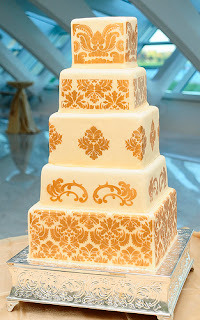 Gold luster and white damask wedding cake. 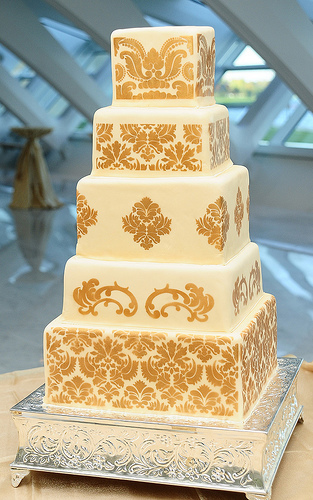 Four tiered round wedding cake decorated in white and yellow with a damask pattern. 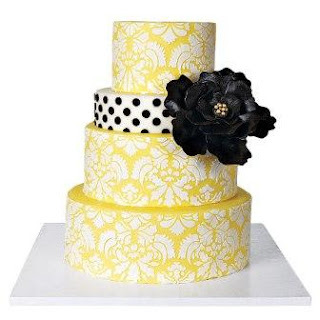 The third tier is black and white polka dot with a huge black flower for added contrast.